The work of Akiteru Kawai is profoundly influenced by the Japanese Folk Craft Movement (Mingei) and its founders, Soetsu Yanagi, Shoji Yamada, Bernard Leach and his great-granduncle Kanjiro Kawai. Try your hand at preparing a cup of matcha tea the same way as it is done during the Japanese tea ceremony, and after drinking it you can observe different pottery-making processes. Have fun with the clay and real tools for pottery making. You can't take home the piece you make during your potter's wheel experience session, but you will receive a teacup as a present instead. Enjoy a once-in-a-lifetime moment in a quiet space, surrounded by unique items crafted by 3 generations of potters. 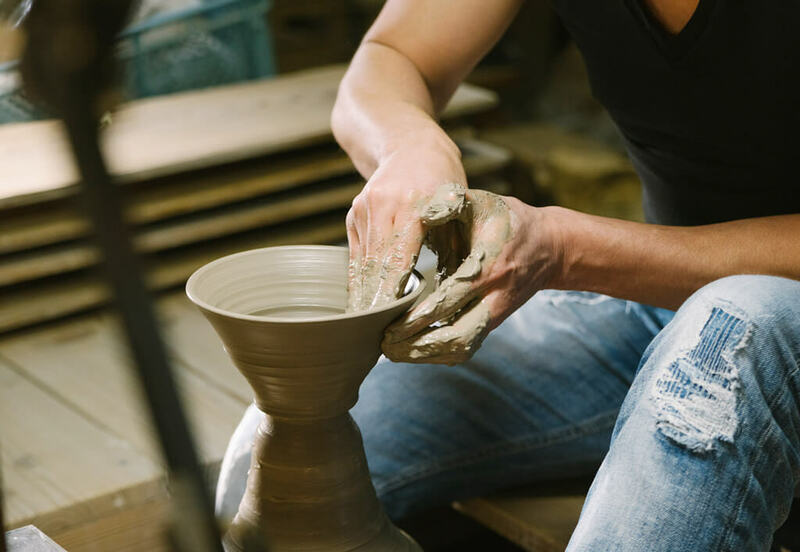 ・You can't take home the piece you make during your potter's wheel experience session. Firing and sending it domestically (only in Japan) may be possible though, please discuss it with the craftsman..